Middle East Forum scholar Dr. Wolfgang Schwanitz has backed Prime Minister Binyamin Netanyahu on Wednesday night, after the premier was heavily criticized for stating that Mufti Hajj Amin Al Husseini convinced Adolf Hitler to annihilate the Jews during World War II. Schwanitz noted the Mufti's role in his book, Nazis, Islamists, and the Making of the Modern Middle East, in which he contended that Hitler's orders to prepare for the Holocaust directly followed a meeting between the two. Husseini additionally noted that “since any European Jews let out of Europe might later go to Palestine, al-Husaini made it clear that if Hitler wanted Muslims and Arabs as allies he must close Europe’s exits to Jews." 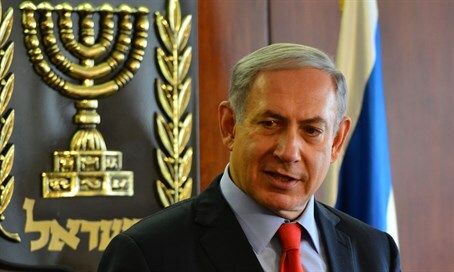 "Hitler did not want to annihilate the Jews at the time," Netanyahu asserted in a speech Tuesday at the World Zionist Congress. "He wanted to expel them. And Hajj Amin al-Husseini went to him and said – 'if you expel them, they will all come here.' 'So what shall I do with them? ', Hitler asked, and Husseini answered – 'burn them.'" Netanyahu's remarks were widely criticized by MKs in the opposition, who accused him of not only distorting history, but also exploiting the Holocaust to incite against the Palestinians. Realizing the extent of the backlash, Netanyahu doubled down on his claim Wednesday, stating that accusations by leftist politicians that he had absolved Hitler from blame for the Holocaust, were "absurd." "I had no intention of exonerating Hitler from his diabolical responsibility for the extermination of European Jews," Netanyahu told reporters before flying to Germany. "Hitler is responsible for the Final Solution for annihilating the Six Millions; he made the decision. "By the same token," he argued, "it is absurd to ignore the role that the Mufti Hajj Amin al-Husseini, a war criminal, played in encouraging Hitler, Ribbentrop, Himmler and others, to annihilate the Jews of Europe."